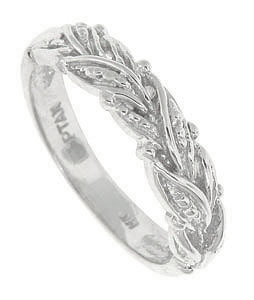 This 14K white gold antique style wedding band is attractively decorated with a woven pattern of abstract leaves and berries. The wedding ring measures 4.37 mm in width. Size 6. Can be re-sized.